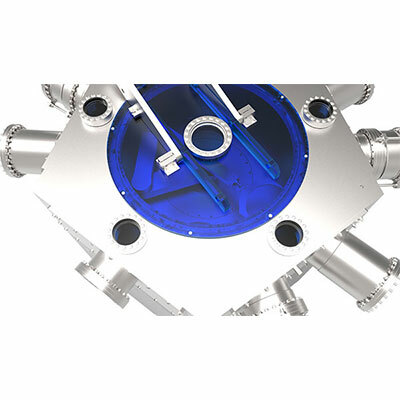 To request a quotation on one of our PVD system platforms please see start with our Physical Vapor Deposition Systems Questionnaire. To speak with someone directly please call +1 412 387 9200 or email international@lesker.com. To learn more about how we service you and your system, click here. 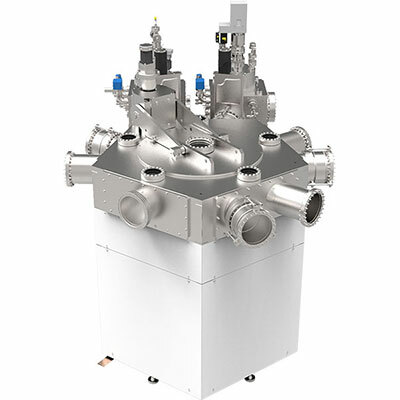 To learn more about sputtering rates and uniformity, click here. 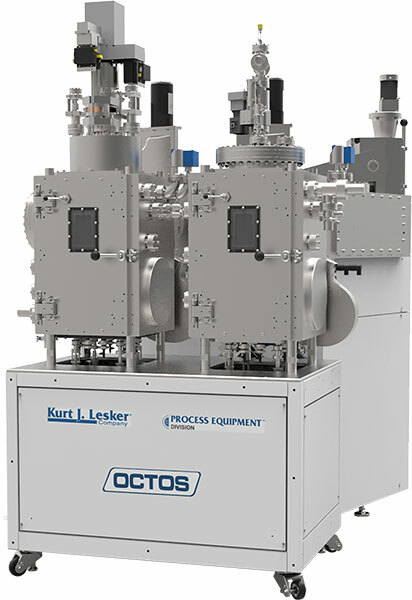 The Kurt J. Lesker Company® OCTOS cluster tools are proven R&D and pilot production systems for in vacuum transfer between multiple process chambers. 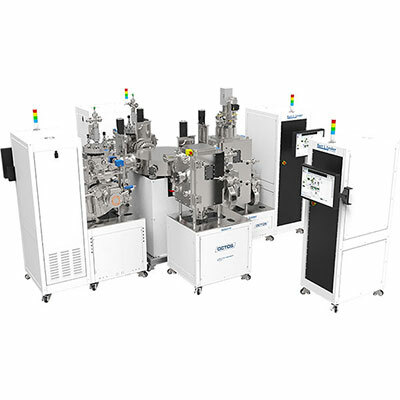 Typical applications include Magnetic Tunnel Junctions and Spin Logic devices (GMR, TMR, MRAM, STT), Organic Light Emitting Devices (OLED), Solar Cells (PV, OPV). 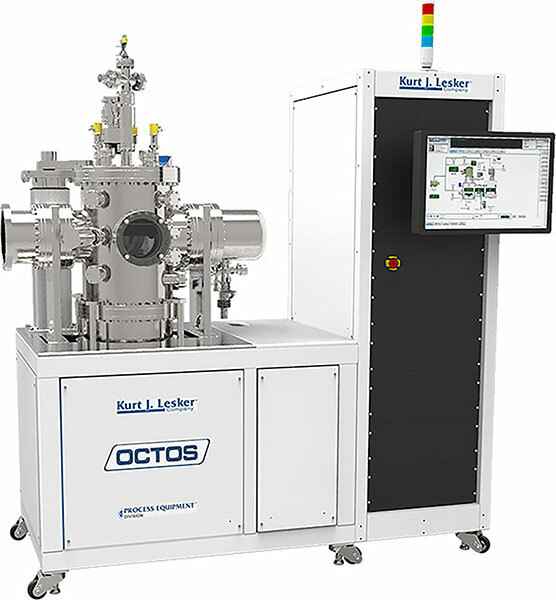 The OCTOS cluster tools feature single or multiple substrate cassette load locks and allow process recipe steps to be completed in vacuum without exposing the substrate to atmosphere. 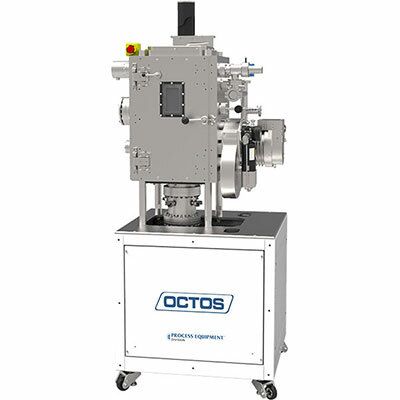 OCTOS provides the ability to automatically process substrates sequentially one at a time or in parallel to increase throughput. Substrate tracking ability is available and full process datalogging is standard. 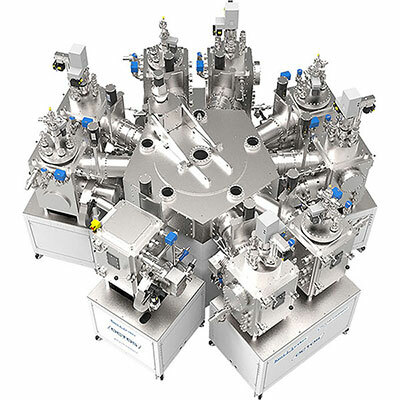 Process chambers are arranged around a central robotic distribution chamber to suit your application. 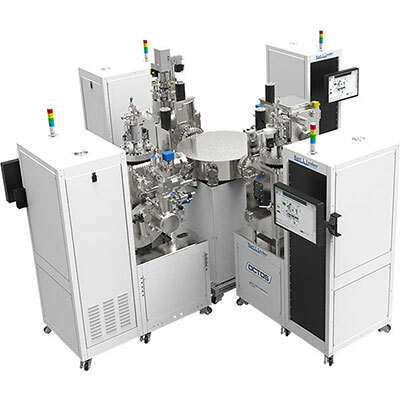 KJLC's eKLipse software allows user-friendly recipe creation along with a reliable, uninterruptable controller that allows process completion, regardless of the state of the computer user interface. For more information on this intuitive, unique, and reliable software package, please see the Software Tab. 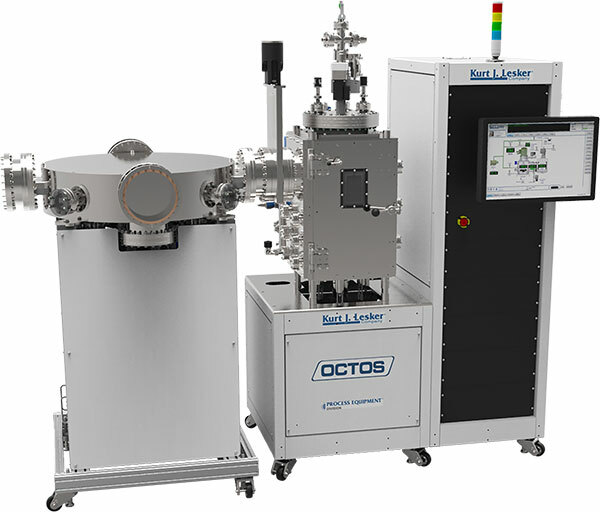 KJLC has been manufacturing the OCTOS cluster tool platform since 1999. 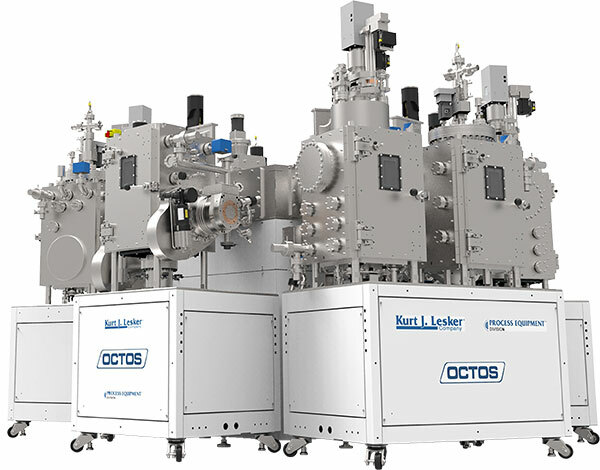 Most of our OCTOS cluster tools have become workhorses for their owners and are still in daily use, including one that has processed over a million substrates. 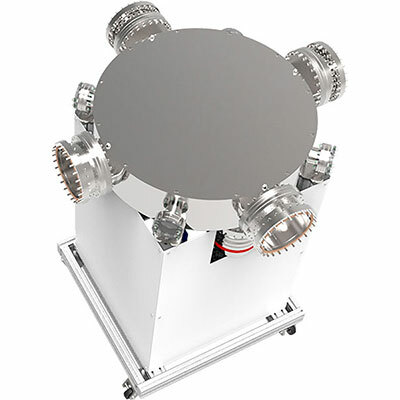 Two OCTOS robotic substrate distribution chambers are offered: OCTOS 6 and OCTOS 10. Both use industry standard vacuum compatible robots. The OCTOS chambers are available with turbomolecular or cryogenic pumping packages to fit your needs. 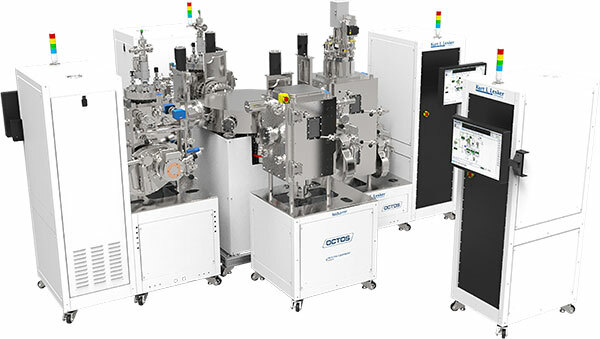 A variety of standard modules are available for thin film deposition processes. Most are based on Kurt J. Lesker Company standard system platform designs. Custom modules are also available for specialty applications. 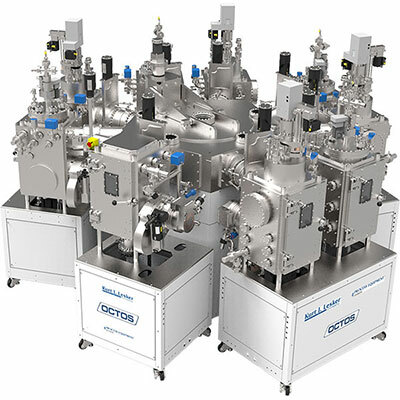 Based off standard KJLC PRO Line PVD modules, these process modules offer tried and true solutions to your magnetron sputtering, e-beam evaporation and thermal evaporation process needs. 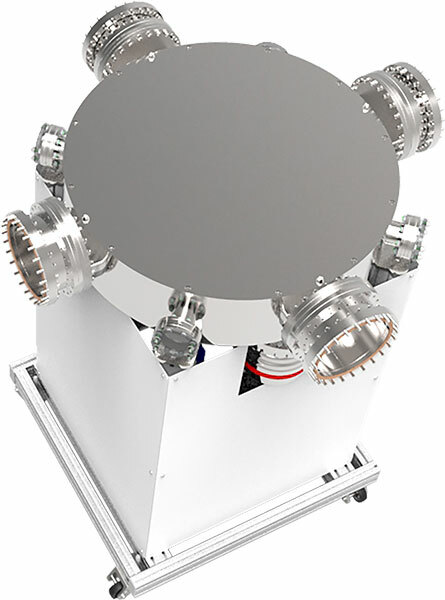 Based off standard KJLC SPECTROS modules. 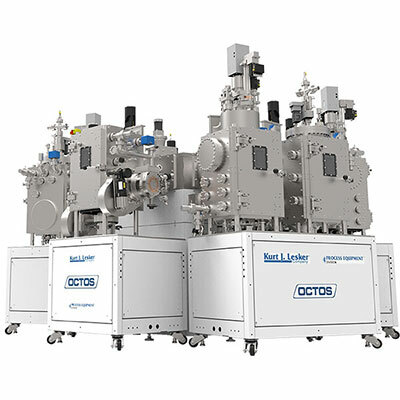 The OCTOS organic modules provide small molecule organic material thin film deposition capabilities as well as in-situ shadow mask changing and glove box interfaces. 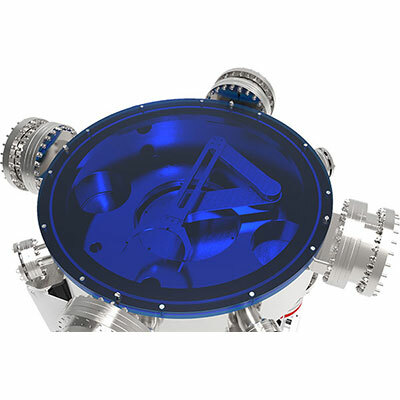 Dual chamber modules allow the number of process chambers to be maximized on an OCTOS 10 based cluster tool. 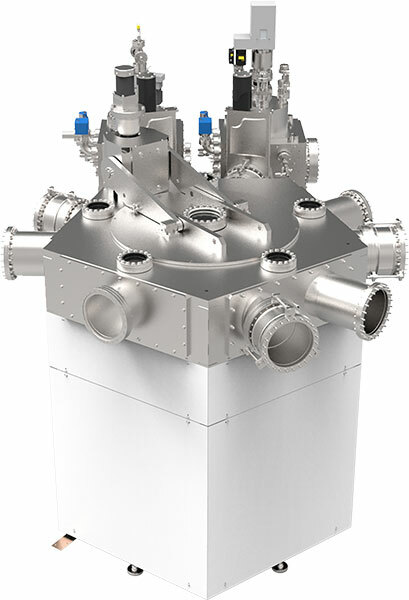 Two process chambers are mounted to a single framework and occupy only one facet on the OCTOS 10 substrate distribution chamber. Dual Chamber Modules are not available on the OCTOS 6 based cluster tools. 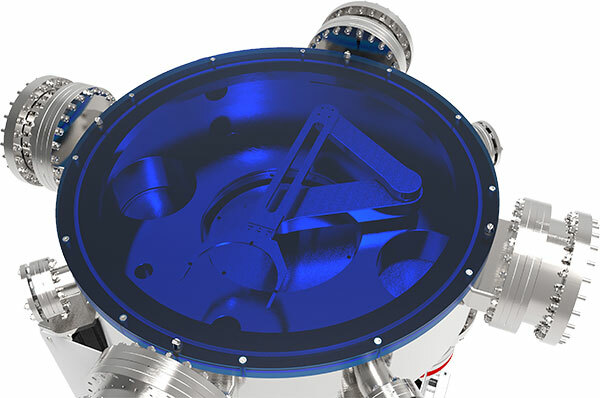 UHV compatible magnetron sputtering and e-beam evaporation modules are available for processes requiring pressures in the 10-9 range or lower. 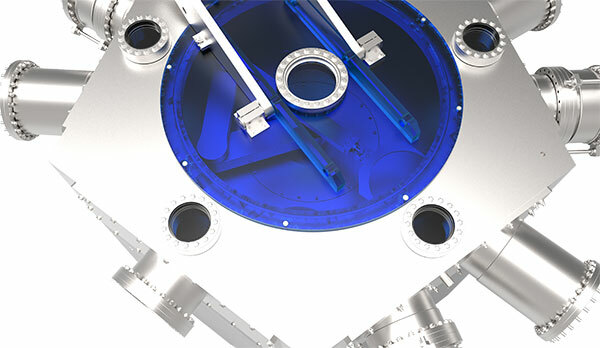 All metal sealed chambers and bakeout packages are provided as the application dictates. 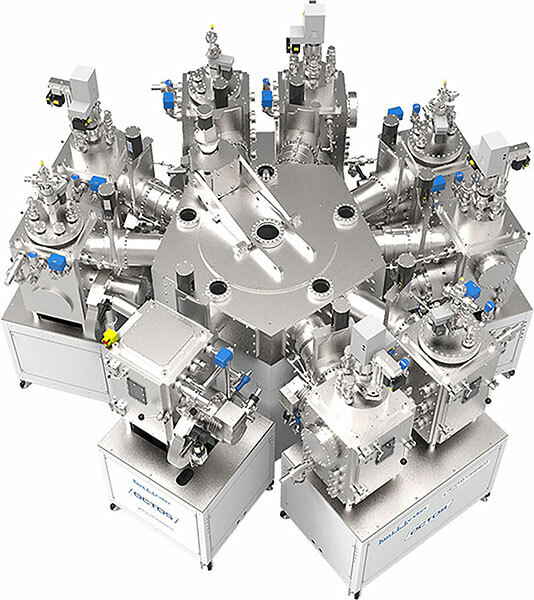 These modules are particularly well suited to magnetic tunnel junction and superconducting device fabrication. 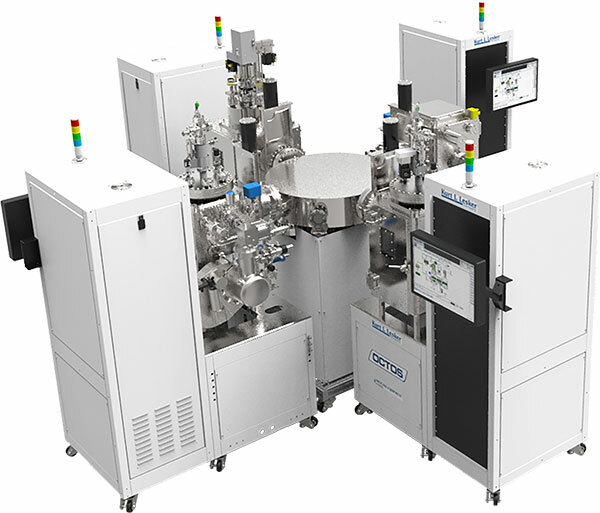 Based off standard KJLC ALD150LX modules, these process modules facilitate thermal and plasma enhanced atomic layer deposition techniques. 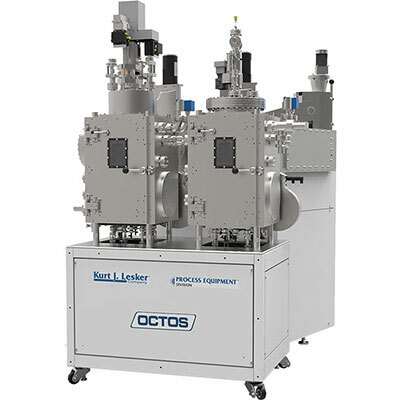 Multi substrate load lock modules allow OCTOS cluster tools to maximize throughput and versatility. 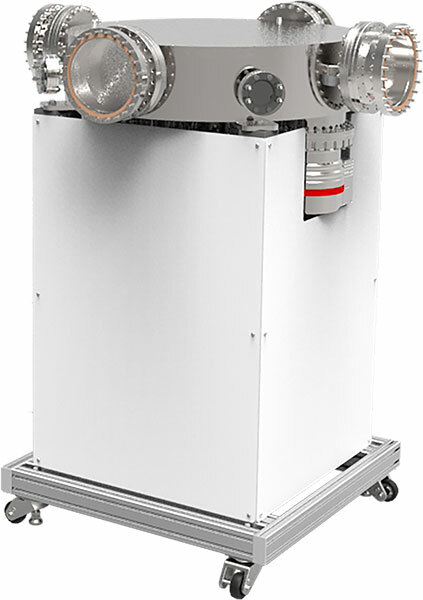 The ten shelf cassette provides a fully automated batch processing capability or recipes to be assigned to individual substrates and processed unattended. 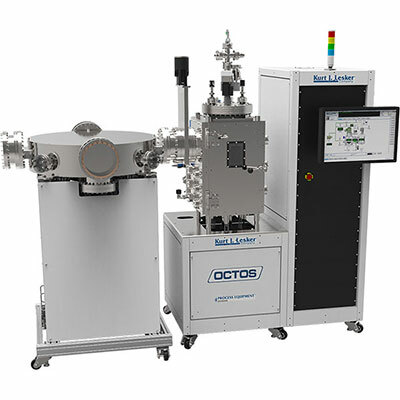 Two Multi-Substrate Load lock modules can be combined on one facet of the OCTOS 10 based cluster tool as duel load locks or entry and exit locks. 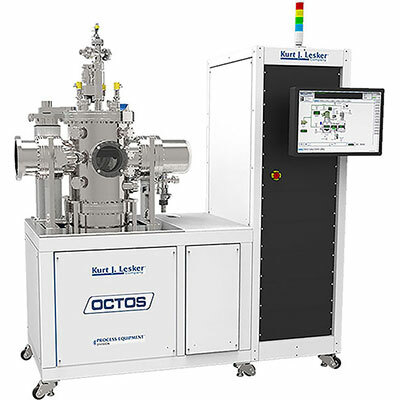 The OCTOS 6 cluster tool can accommodated only one Multi Substrate Load Lock. Kurt J. Lesker Company® eKLipse™ Controls Software is utilized on all KJLC platforms. The eKLipse™ controls platform utilizes a .NET application running on a Windows PC for its User Interface and Recipe Editor. Equipment automation is accomplished via a standalone Real Time Controller. Scripted Recipe Builder – A more traditional "scripted" recipe editor exposes more details for setting or checking the value of any system component during a process. Real Time Controller – The system operates independently of the Windows software package and will continue the recipe should the software / computer malfunction. 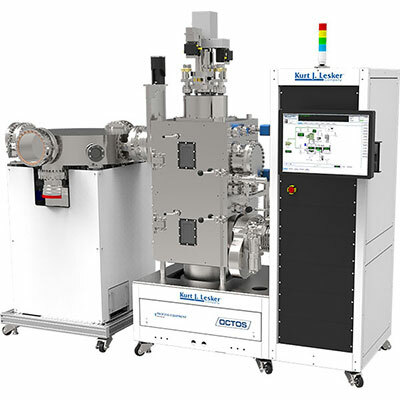 Independent Thermal Evaporation Thin Film Control – There is no third party software requiring a "handshake" or "handoff" between the Systems Manufacturers software and the thin film controller's software. Any recipe step can be configured to allow the user to alter a value, enabling process condition changes, without affecting the master recipe. 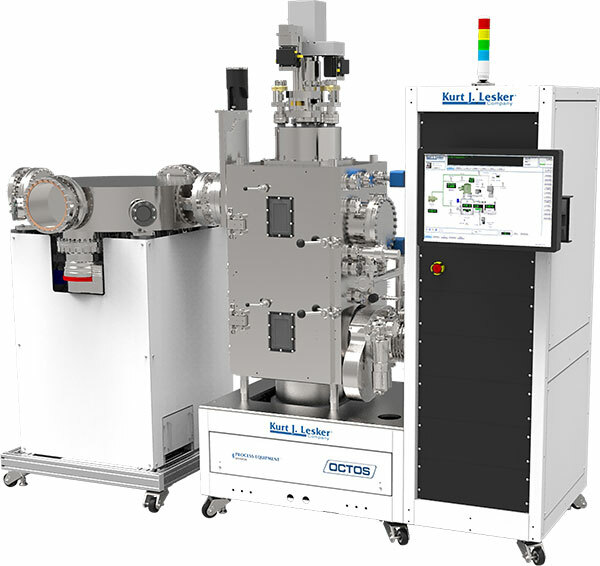 As an example, at the time of execution, the recipe can prompt the user for the desired deposition thickness, or power setting. Users with full access have the ability to edit recipes and control interlocks. Restricted access users will be limited to running certain recipes and have no control over interlocks. Every control object can be assigned to a standard user security level. Individual screen access can be separately assigned to any user. 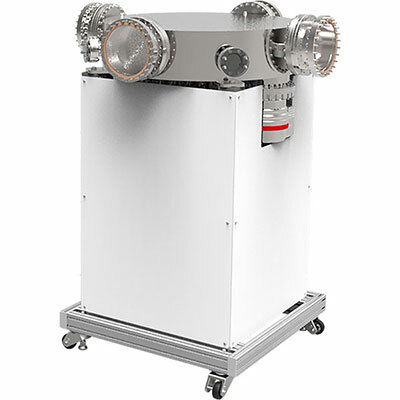 Download datasheet PDF files featuring our systems and their capabilities. Do you have any questions? Click below to get in contact with one of our many experienced team members.